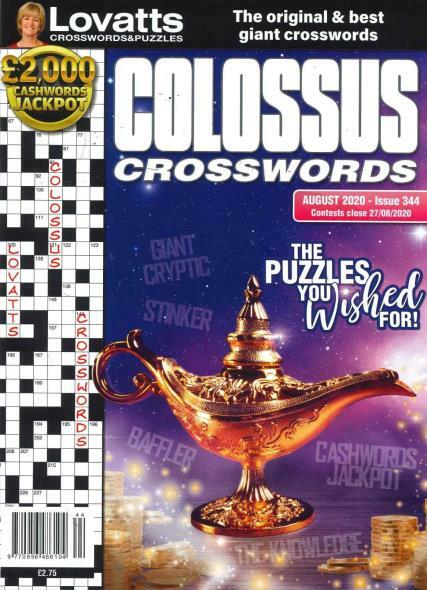 Colossus Crosswords Magazine is a monthly publication containing 65 giant crossword puzzles. Buy a single copy or subscription to Lovatts Colossus Crosswords magazine. There are also other kinds of crosswords to tease your brain including Cryptic Cross puzzles, Starhunts, Wizwords, Acrostic puzzles, Cashwords, Sudoku puzzles and Bafflers. Read in the Judge Sums Up column about contested clues, and how they are resolved. Solving crossword puzzles are the most popular game using words in the world. Crossword puzzles had been around since 1913 when Arthur Wynee, an English journalist included one in the magazine New York World. Wynee is cited as the inventor of the first crossword puzzle which was first called a word cross puzzle.